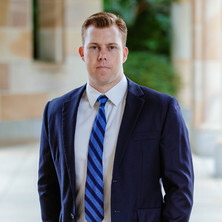 Dr Matt Watson is a Lecturer in the TC Beirne School of Law, The University of Queensland. Dr Watson teaches Jurisprudence and Administrative Law. His research interests lie primarily in the fields of legal and political philosophy. Dr Watson’s core research areas include multiculturalism and minority rights (with an emphasis on minority language rights and language policy), constitutionalism, the intersection of law and politics, the liberal philosophical tradition, and all aspects of the philosophy of law. Dr Watson is currently working on a research project that enquires into the legal and moral permissibility of taking account of religious and cultural membership in refugee resettlement determinations. Dr Watson completed his doctoral studies in law at the University of Oxford in 2016. His DPhil thesis, written under the supervision of Professor Leslie Green, inquired into the philosophical foundations of minority language rights. While at Oxford, Dr Watson led tutorials in Jurisprudence. Watson, Matt (2015) Private conscience and the public purse: a comparison and explanation of the law relating to state funding of religious schools in Canada and the United States. University of Queensland Law Journal, 34 2: 319-340.